What's with this year already? It seems to be just slipping away. Maybe it's me. That's the more likely case. I feel completely distracted and can't quite accomplish one task before I'm off on another. 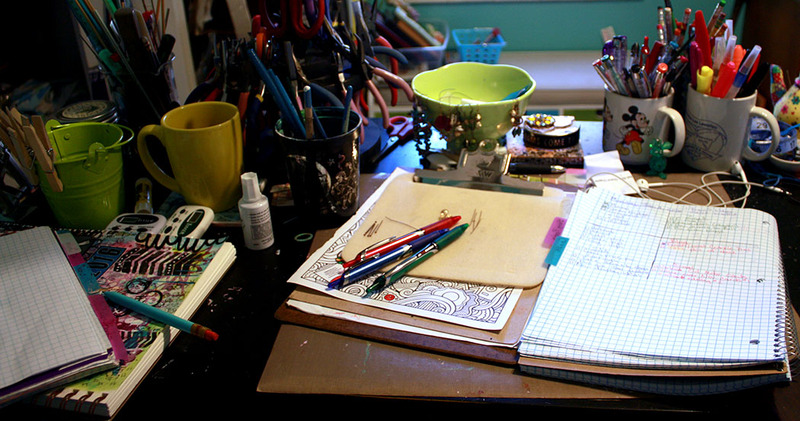 My desk is a perfect example of this scattered, unfocused trend. 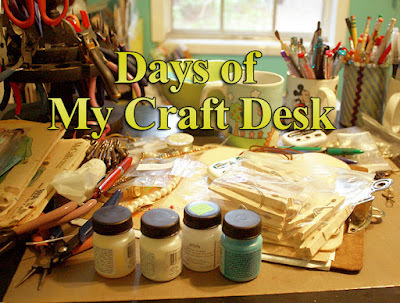 In the last episode of Days of My Craft Desk, I showed you the evolution of my workspace over a single day. Today, I offer you a look at it over several weeks' time. 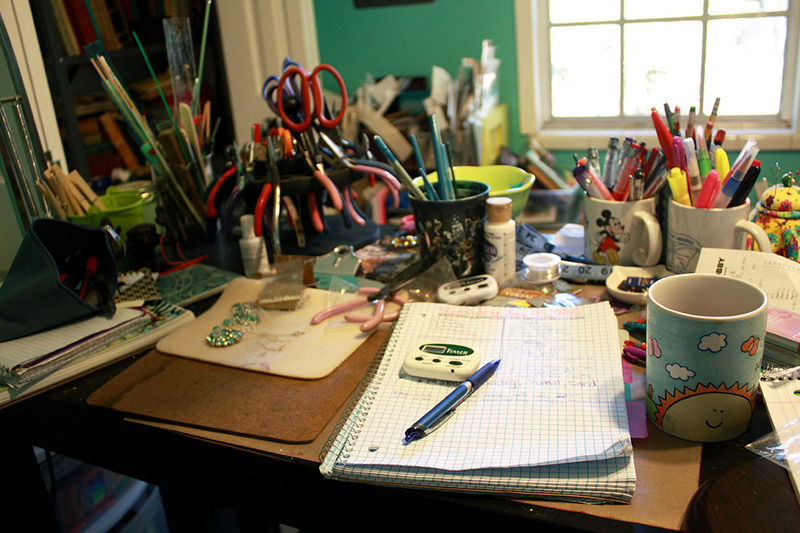 Days of My Craft Desk. Warning!! Those who are neat freaks and need complete and utter organization should look away before continuing to scroll down. On January 4th, I started my day as always - making my to do list in my planner/bullet journal. 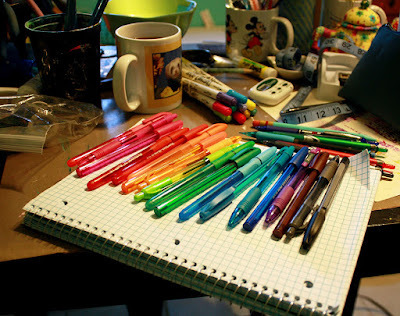 I like to use a variety of pen colors to highlight different tasks. My favorite pens are the pilot V5 RT. I love that they are retractable and have an extra fine tip. LOVE! By 11am the next morning, I was working on relisting some items in the CraftyHope Etsy shop. The items making their second appearance were strewn on my desk. And, I was probably on my second cup of coffee, my lifeline. That afternoon had me pricing earrings and putting them on cards. Most of those pretty pairs on the right are now in my Southern Antiques and Accents booth. On January 11th, I dove into my thrifted jewelry stash for a broken brooch. I also pulled out some Chinese crystals to match. 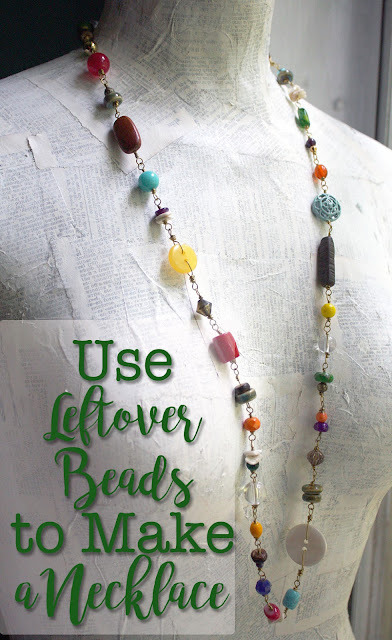 These components came together as a necklace fairly quickly. By the next morning, the necklace was complete (though not removed), and my daily planning was underway. 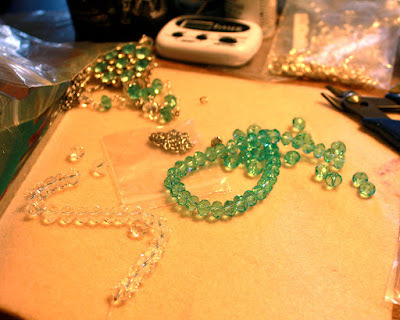 Just days before my Mardi Gras ball, I started gathering components that I thought would go well with my costume. 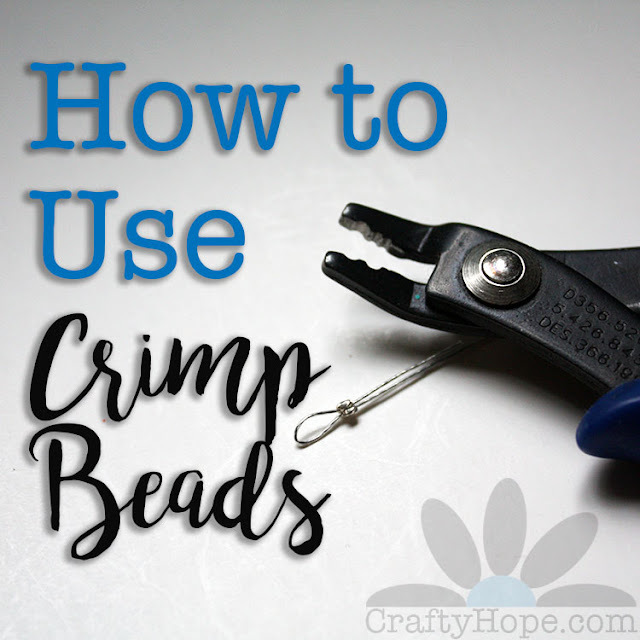 I knew I was only making earrings so I did try to limit my selections. It was difficult. At 9am on Jan 19th, I started on my daily list. However, I was distracted by all the pretty pens. Being me, I had to line them up in Roy G Biv order, obviously. 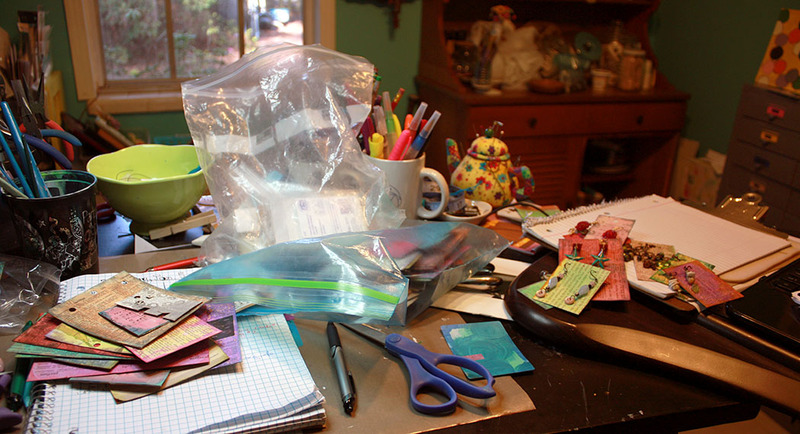 This was the state of my desk on the morning of the 21st. 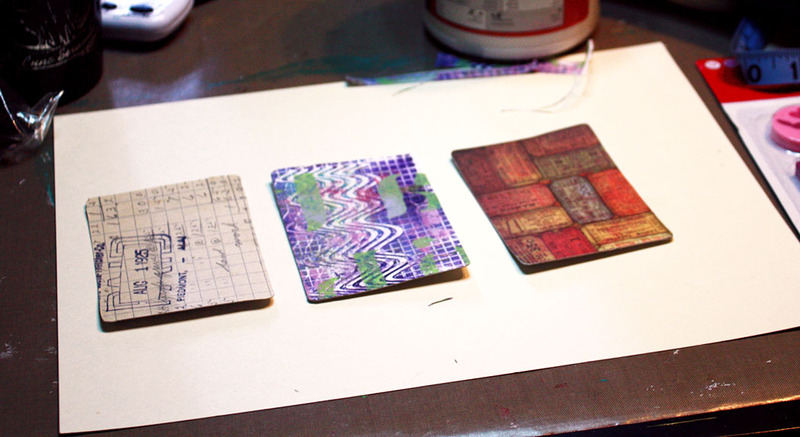 I was trying to finish up/start on some altered playing cards (not the ones in the link, but just so you get the idea). I had hoped leaving them out like this would help me find inspiration. It did not. Two days ago, upon finishing the cards, this was the state of my desk. Yes, a complete disaster of stamps, inks, brads, glues, and more. GAH! But, I got them done nonetheless. So, that's been the gist of what's come across my desk lately: scatterbrained, schizophrenic chaos. And the days seem to keep slipping away. 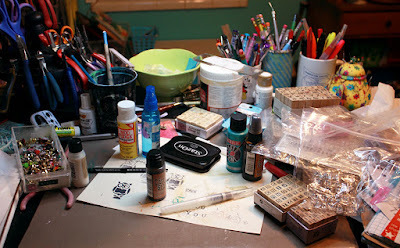 Please tell me I'm not the only one whose craft desk is suffering from multiple-interests disorder. If so, I guess it's all in the life of a craft table. Tune in next time to see what else is in store in the Days of My Craft Desk. I love your "multiple interests disorder" For years my husband has complained that I am unfocused. I will now tell him of the diagnosis "multiple interests disorder". LOL. Candy, You are very welcome! My husband doesn't say anything, just lets me go on my way. Thanks for popping in! 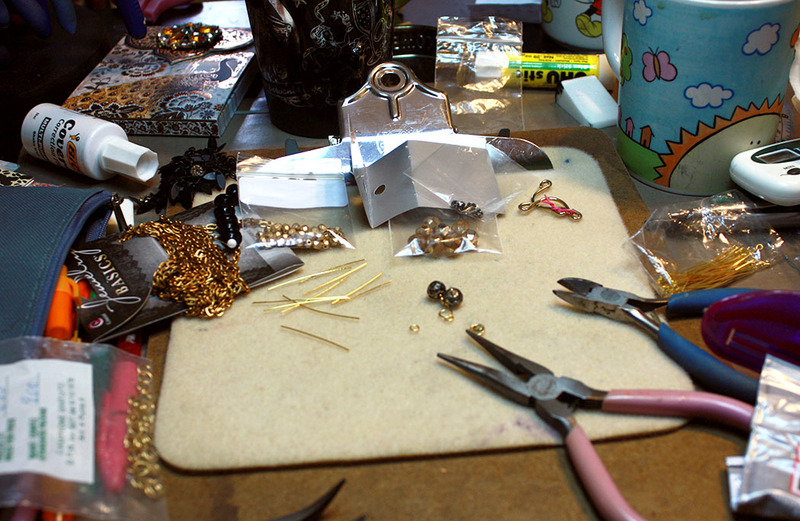 Your table is a perfect example of why I only work in jewelry. If I had more choices, I would never get anything done. Multiple-interest disorder, ha-ha! 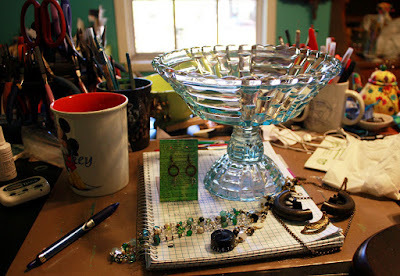 Well, you're not alone :) I sometimes pull out things to craft that are not jewelry and, for the time being, they just end up sitting on my table - right now I have some roving wool and felting needles there with several wire spools, wire working tools, beads and findings - a total mess! Oh, and a couple of unfinished projects!